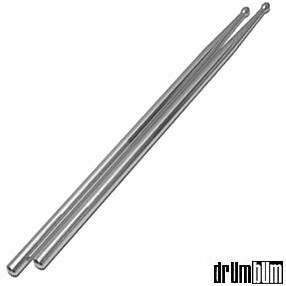 Metal Practice Sticks – Drum Teachers and serious students will appreciate this gift. A terrific way to warm up! Metal drum sticks have been the choice of many drummers through the years for toning and strengthening their muscles. Some drum teachers swear by them! High-quality aluminum drum sticks. (*These drum sticks should be used on a practice pad only and not on drums.) Approx. 15″ L (0.5″ in diameter and 4.2 oz. per stick). 1 pair. Also, check out the similar “Work Out” Practice Drumsticks!